What is the altitude of a triangle? 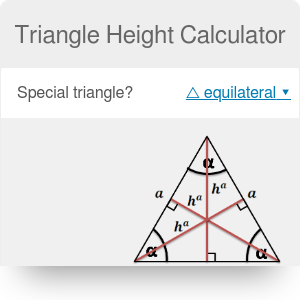 If you are looking for an easy tool to calculate the height in any triangle, you're in the right place - this triangle height calculator is the tool for you. 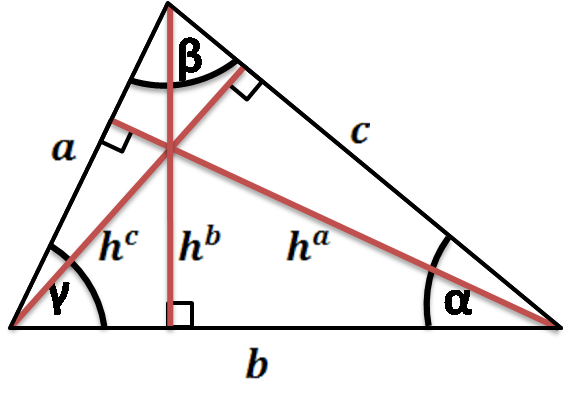 Whether you are looking for the triangle height formulas for special triangles such as right, equilateral or isosceles triangle or any scalene triangle, this calculator is a safe bet - it can calculate the heights of the triangle, as well as triangle sides, angles, perimeter and area. Don't wait any longer, give it a go! 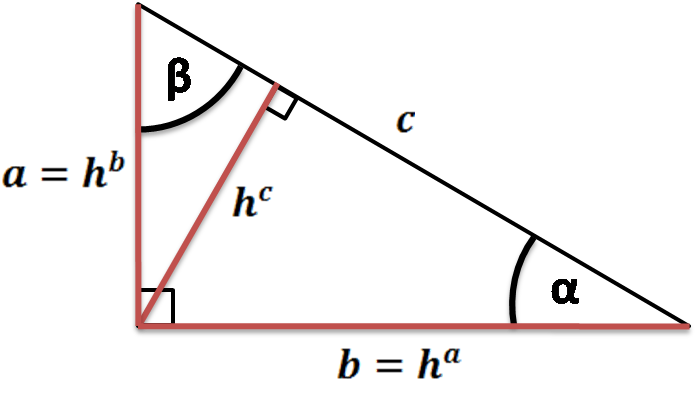 If you are still wondering how to find the height of an equilateral triangle or what's the formula for height without a given area, keep scrolling and you'll find the answer. Every side of the triangle can be a base, and from every vertex you can draw the line perpendicular to a line containing the base - that's the height of the triangle. Every triangle has three heights, which are also called altitudes. Drawing the height is known as dropping the altitude at that vertex. 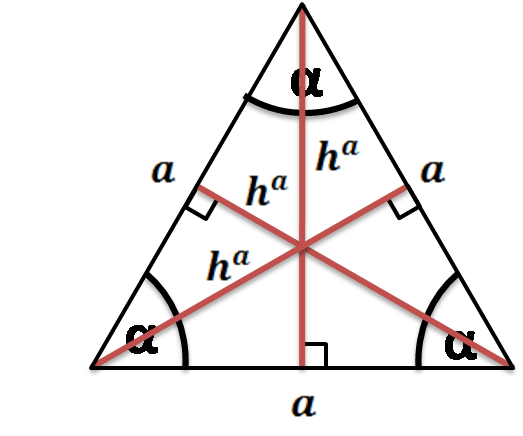 If your shape is a special triangle type, scroll down to find the height of a triangle formulas. Simplified versions of the general equations are easier to remember and calculate. 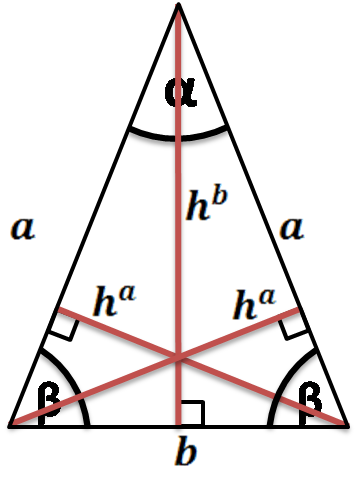 In an equilateral triangle the altitudes, the angle bisectors, the perpendicular bisectors and the medians coincide. The heights from base vertices may be calculated from e.g. Triangle Height Calculator can be embedded on your website to enrich the content you wrote and make it easier for your visitors to understand your message.